Compact crossovers have quickly gained a greater and greater market share, especially the sleeker models available. Most drivers in Royston are attracted by the fact these smaller crossovers drive and handle like a car, while also boasting the safety features, power, and performance of an SUV. In this sense, a compact crossover is an ideal choice for those who simply can’t decide between an SUV and a sedan. Most compact crossovers are fairly stylish, but few can compare to the incredible range of features offered on the 2018 Ford EcoSport. 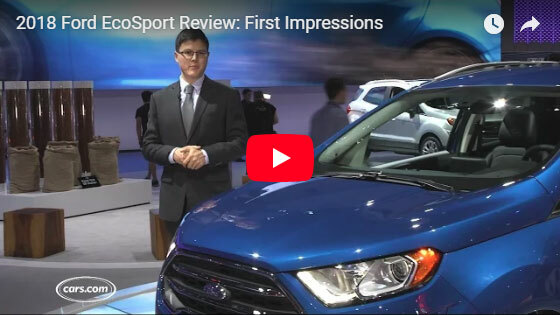 The base EcoSport S model offers plenty to be excited about, but those who upgrade to the SE, SES or Titanium trim packages will be treated to much, much more. Available leather-trimmed, heated front seats, and a power moonroof are just two of the many upgrades you can choose from. The 2018 Ford EcoSport truly excels in all the areas that matter most, and especially when it comes to style. To see for yourself, come by Casey Jackson Ford to take this or any other new Ford for a test drive.